Well, I’m glad I didn’t sign up for the CSA this year if this week is any indication. Don’t get me wrong, its a lovely variety, but gets an F for our family because of the large amount of produce we just wouldn’t use. Per my earlier pledge to select half the items on the list any given week, I’ll go with the “good” category plus the zucchini & summer squash. I also purchased peaches (slightly out of area, but from the farm stand) and tomatoes this week. I was hoping local strawberries would be in, but haven’t seen them yet. 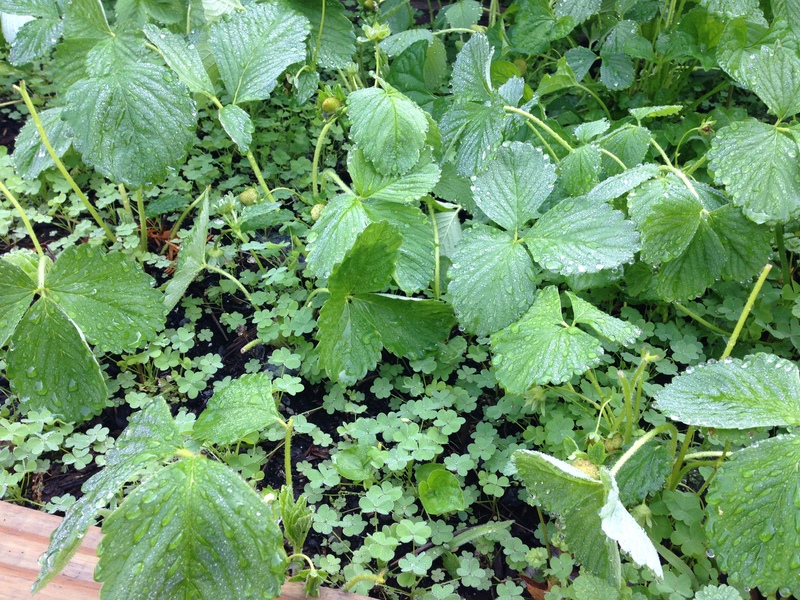 On a more positive note, we have more strawberry buds than ever in our garden. The deer have taken a few – next year I’ll have to put up some netting, but it looks like we’ll still get a good harvest. I also added corn and a jalapeno pepper to the garden this week.